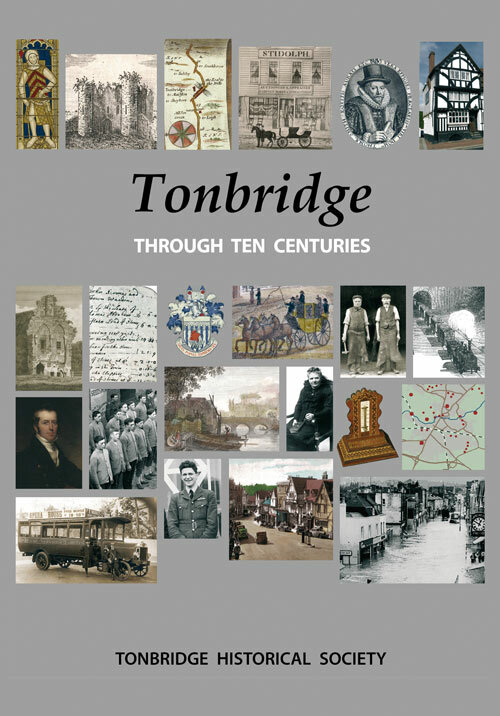 Our acclaimed history of the town 'Tonbridge through ten centuries' is available now. Great value at only £10 for a 240 page book with 300 illustrations. 4.9 out of 5 stars on Amazon! Details here. Looking for your Tonbridge ancestors? Please check out our family history advice page. Recent additions to website: 2018-19 lecture programme , Autumn 2018 Newsletter. Greetings from Tonbridge . . .
. . . a town on the River Medway in the English county of Kent — and welcome to the website of Tonbridge Historical Society. Tonbridge's history goes back a long way. People in the Iron Age used the river crossing here, as the Romans must have done later. A Saxon settlement may have grown up beside the river, before the Normans came and built the motte-and-bailey castle. Its massive gatehouse is now one of the finest surviving in the country. Mediæval Tonbridge was a market town of a few hundred people. Today the population exceeds 30,000, but the town's historic core remains. Tonbridge still has more than 150 listed buildings. The castle and five branches of the Medway appeared on Tonbridge's coat of arms, pre-1974. See here for details. Use the links on the left to find out more about the history of our town, or browse our extensive pictorial collection. For those who want to go deeper, the Links section should help to get you started. Tonbridge Historical Society brings together people with interests in all aspects of the subject, for talks and other activities. New members are always welcome. You can find out more here. P.S. 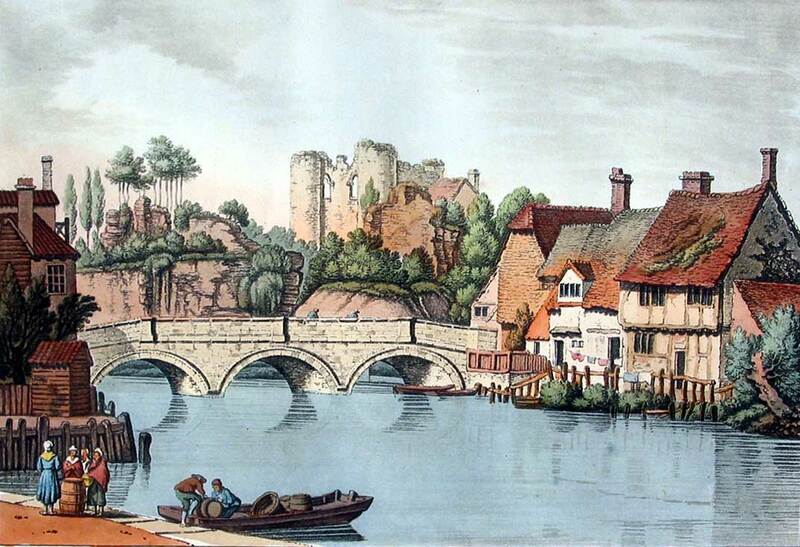 Today Tonbridge is spelt with an 'o' but pronounced (as it was once spelt) with a 'u': 'Tunbridge'. Details here.